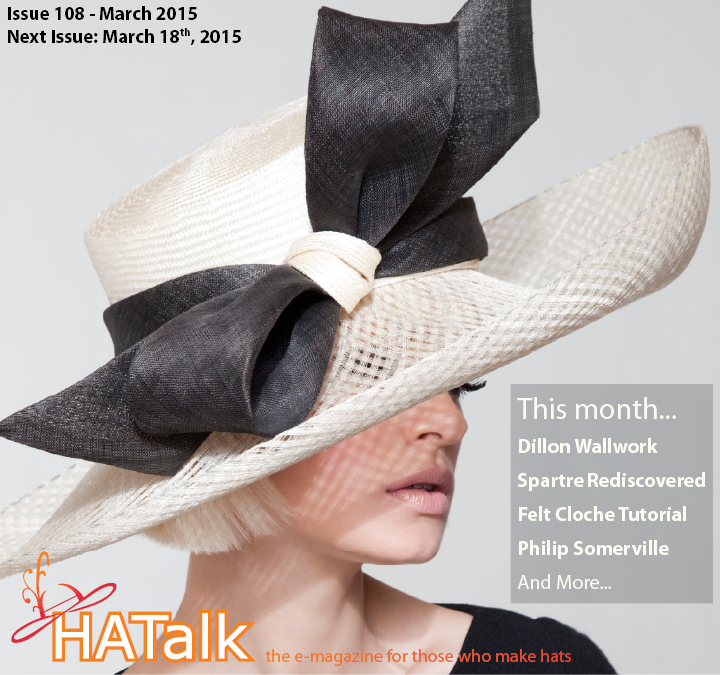 Dillon Wallwork: Model millinery in London. Rediscovering Spartre: A new take on an old foundation. Hat of the Month: A crocheted hat by Elisabeth Eberndorfer. 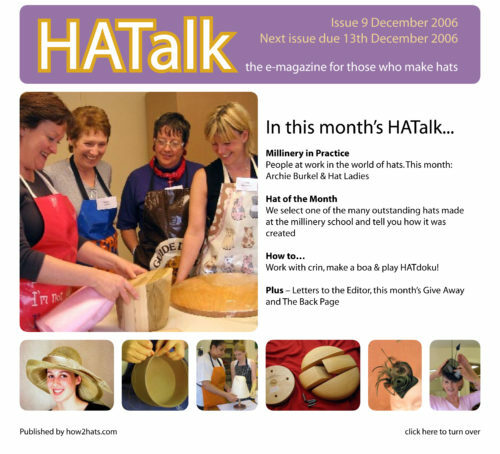 Make a Hand-Pleated Felt Cloche – Part 2: Create a draped brim with Ani Townsend. Philip Somerville: A tribute to a millinery great.